From Bruno Mars to Mozart, play the hottest songs effortlessly on the #1 piano game, also available in HD for iPad and iPad mini! 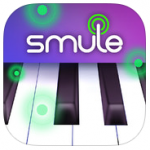 Get free songs every day and enjoy the largest catalog of songs in any piano app. Turn on game mode to unlock achievements and free songs, or just relax and play your favorite tunes. Join the over 25 million Magic Piano players and experience the fun of playing piano – no lessons needed! Featured in the New York Times, TIME, MacWorld, as the Apple iPhone App of the Week and one of Apple’s “Amazing Apps on iPhone 5,” Magic Piano lets you experience the joy of making music and sharing your performances with the world. OVER 900 SONGS – NEW SONGS ADDED EVERY WEEK! -Hot new hits are added to the app regularly, so check back for new releases and a FREE SONG every day! -Have an iPhone and iPad? Your songs will sync across multiple devices! Play preloaded songs by following beams of light – and set the difficulty level depending on your Magic Piano expertise or your mood. Enter game mode and get rewarded for playing! -Level up to unlock achievements and badges, earn free songs and make your way to the top of the song leaderboards. 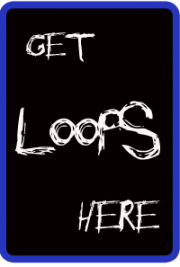 -Change the difficulty of each song to give yourself a unique challenge.